Here is a look at the candidates on the ballot for the general election. With the 2018 primary in the books the field is set for the November 6 general election in Delaware. For some candidates, however, the lack of challengers means they are virtually assured a new term. Barring successful write-in campaigns, Democrats will retain their seats in two Senate districts and nine House districts because no one filed to challenge them. On the Republican side, five House districts will see the incumbent return for a new term. Incumbent Democrat Tom Carper will take on Republican Robert Arlett. Democratic Rep. Lisa Blunt Rochester had no challenger in the primary and will face Scott Walker in the general election. Republican Bernard Pepukayi Sr. will face Democrat Kathleen Jennings for the seat vacated by incumbent Democrat Matthew Denn. Incumbent Republican Ken Simpler will face off against Democrat Colleen Davis and Green candidate David Chandler. Republican James Spadola, who did not have a primary challenger, will go up against Democrat Kathleen McGuiness for the seat vacated by Republican incumbent R. Thomas Wagner Jr.
With no Republican in the race, primary winner Darius Brown has no opponent in the general election for the seat vacated by incumbent Margaret Rose Henry. Democratic primary winner Elizabeth Lockman faces no challenger in the general election in the seat being vacated by incumbent Robert Marshall. Incumbent Republican Gregory Lavelle will face Democrat Laura Sturgeon. Republican incumbent Ernesto Lopez will face Democratic challenger David Baker. Incumbent Democrat Stephanie Hansen will face Republican Christine Metzing. Incumbent Democrat Bryan Townsend will face Republican challenger DanielKapitani. Incumbent Republican Colin Bonini will face Democrat Louisa Phillips. Republican Justin King won the primary and earned the right to face Democrat Charles Paradee III for the seat being vacated by incumbent Brian Bushweller. Democrat James Purcell will face Republican David Wilson for the seat being vacated by incumbent F. Gary Simpson. Incumbent Republican Bryant Richardson will face Democratic challenger Robert Wheatley. Challenger Nnamdi Chukwuocha beat incumbent Democrat Charles Potter Jr. and faces no challenger in the general election. Incumbent Democrat Stephanie Bolden beat Ugundi Oday Jacobs in the primary and has no general election opponent. Sherry Dorsey Walker won a three-way battle in the Democratic primary and faces no challenger in the general election. Incumbent Democrat Gerald Brady has no challenger in the general election. Kendra Johnson won the Democratic primary for the seat vacated by incumbent Democrat Melanie George Smith and faces no opposition in the general election. Incumbent Democrat Debra Heffernan will face Republican Jeffrey Olmstead. 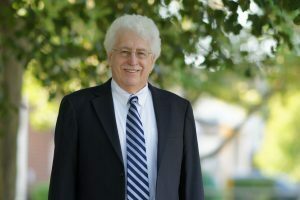 Raymond Seigfried beat four primary opponents and earned the right to face Republican Eric Braunstein and Libertarian candidate Scott Gesty for the seat vacated by Democratic incumbent Bryon Short. Incumbent Democrat Quinton Johnson will face Republican Daniel Zitofsky and Libertarian Cody Ryan McNutt. Democrat Monique Johns beat two other challengers for the right to face incumbent Republican Kevin Hensley. Incumbent Democrat Sean Matthews will face Republican Erin Wienner. Incumbent Republican Jeffrey Spiegelman will face Democrat Paul Thornburg. Democrat Krista Griffith won the primary and earned the right to face incumbent Republican Deborah Hudson. Incumbent Democrat John Mitchell Jr. has no general election opponent. Incumbent Democrat Peter Schwartzkopf will face Republican James Demartino. Franklin Cooke Jr. beat two challengers in the Democratic primary and will face Republican Albert Ament for the seat vacated by Democrat James Johnson. Melissa Minor-Brown beat challengers David Roberts and Michael Burns in the Democratic primary and has no general election opponent for the seat being vacated by Democrat Michael Mulrooney. Incumbent Democrat David Bentz has no general election challenger. Incumbent Democrat Kimberly Williams will face Republican James Startzman. Republican incumbent Stephen Smyk will face Democrat John Bucchioni and Libertarian candidate Harry Smouse Jr.
Republican incumbent Michael Ramone will face Democratic challenger Stephanie Barry. Republican Michael Smith will face Democrat Guillermina Gonzalez for the seat vacated by incumbent Republican Joseph Miro. Incumbent Democrat Paul Baumbach has no challenger in the general election. Democratic incumbent Edward Osienski will face Republican William Dilks Sr. Incumbent Democrat John Kowalko will face Republican Bryan Rash. Democratic incumbent John Viola will face Republican challenger Justin Cruice. Incumbent Democrat Earl Jaques will face Libertarian William Hinds. Democrat William Bush will face Republican Robin Hayes for the seat being vacated by Democratic incumbent Trey Charles Paradee. Republican Shannon Morris will face Democrat Charles Groce for the seat being vacated by Republican William Outten. Democratic incumbent Sean Lynn will face Republican David Anderson. Democratic incumbent Andria Bennett will face Republican Cheryl Precourt. Incumbent Republican Charles Postles will face Democrat James Webb. Incumbent Republican Lyndon Yearick will face Democrat Adewunmi Kuforui and Libertarian candidate William McVay. Republican Jesse R. Vanderwende faces no challenger for the seat being vacated by Republican David Wilson. Republican Bryan Shupe will face Democrat Donald Allan Jr. for the seat being vacated by republican Harvey Kenton. Republican incumbent Ruth Briggs King has no challenger in the general election. Republican incumbent Ronald Gray will face Democrat Meghan Kelly. Incumbent Republican Daniel Short has no challenger in the general election. Incumbent Republican Timothy Dukes has no challenger in the general election. Incumbent Republican Richard Collins will face Democrat Bradley Connor. Democrat Scott Phillips defeated incumbent Samuel Pratcher in the primary and will face Libertarian candidate John Machurek. Incumbent Democrat Ciro Poppiti III has no challenger in the general election. Incumbent Democrat Michael E. Kozikowski will face Republican Daniel Rappa. Democrat Kenneth Woods has no challenger in the general election. Incumbent Republican Robert Weiner will face Democrat Dee Durham. Incumbent Republican Janet Kilpatrick has no challenger in the general election. Incumbent Democrat Penrose Hollins has no challenger in the general election. Incumbent Democrat Lisa Diller will face Republican John Thomas. David Carter defeated incumbent William Powers in the Democratic primary and faces no general election challenger. Incumbent Democrat Betty Lou McKenna will face Republican Eugenia Thornton. Incumbent Republican Jason Mollohan faces Democrat Brian Lewis. Incumbent Republican James Hosfelt will face Democrat Jeffrey Hall. Incumbent Republican Eric Buckson has no general election challenger. Incumbent Republican Glen Howell has no general election challenger. Incumbent Democrat Terry Pepper faces Republican James Calloway. Incumbent Republican Cynthia Green faces no general election challenger. Incumbent Republican Scott Dailey faces no general election challenger. Republican Douglas Hudson will face Democrat Paulette Pappa for the seat vacated by Republican George Cole. Republican John Rieley will face Democrat Ellen Magee for the seat being vacated by Republican Robert Arlett.